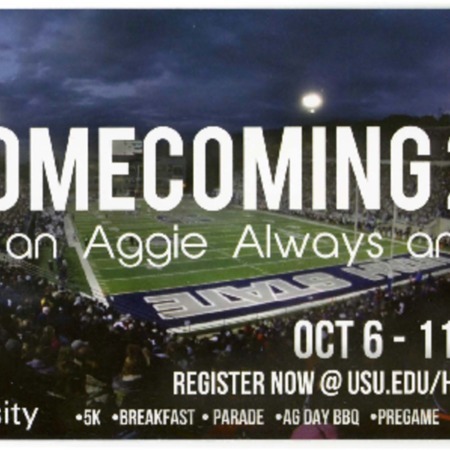 Advertisement sent to alumni for the 2014 USU Homecoming celebration. 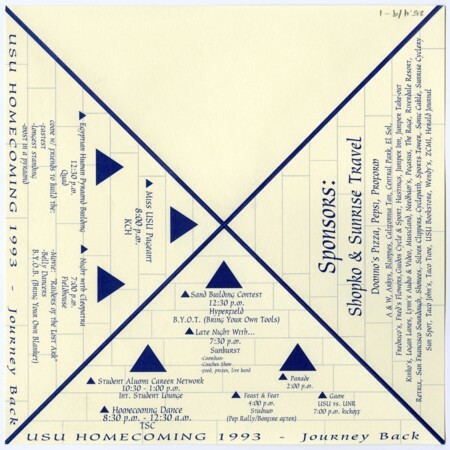 Advertisement for Homecoming 1993, "Journey Back." Made to fold into a pyramid and rest on a tabletop.